Close up of the scarf - love how it works with navy & the light grey. 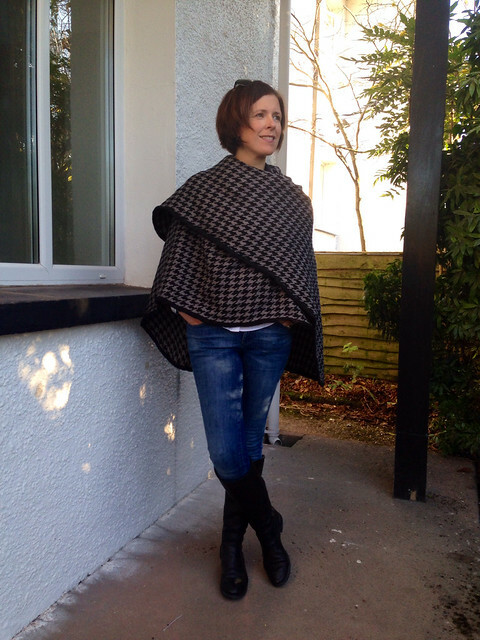 It's cosy too and not really huge like lots of these blanket scarf. It's much more wearable for that reason. Next up, long boots again with a cape. I was going to stock this cape in the shop but it came as a twin pack and I didn't like the other colour way so took the decision not to buy it. I knew this colour would sell but I'd end up losing money on the other one so it wouldn't have made business sense. Sorry girls - if it's any consolation, it's quite hard to wear...kept slipping off my shoulders! But with a belt it would be better and it also works as a great oversized scarf. Back in the ankle boots for this hangover outfit from Friday (book club was the night before and as it was my last one as a resident, I probably enjoyed it more than I should have!). 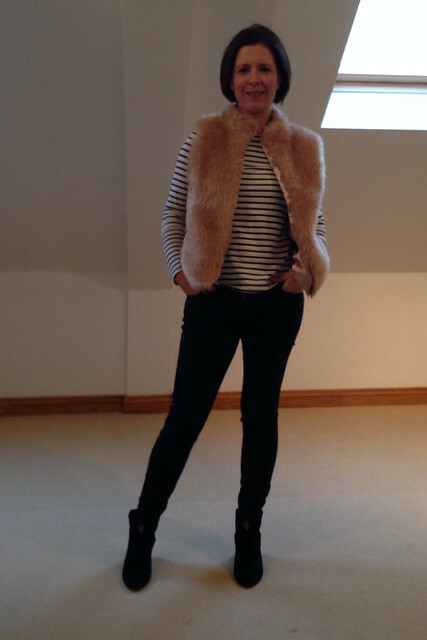 Furry Gilet and Breton are both from Boden, Jeans are Maison Scotch from Feather & Stitch and my boots are the Navy Ash Jalouse. Sorry for the poor photo - indoor photos on these gloomy days are tricky! Last up, grey and burgundy for a trip into Belfast on Saturday morning. 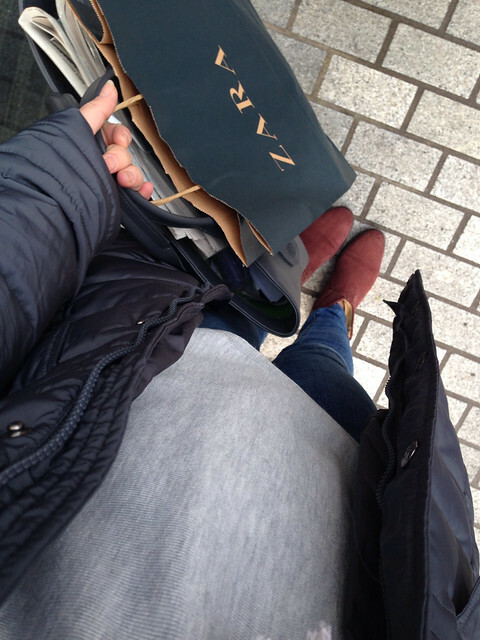 Boots from Seven Boot Lane, Coat from Dunnes, Jeans are Gap & my jumper is H&M. My son had his second (of three) transfer tests so with an hour free in the city, it would have been rude not to go into Zara. 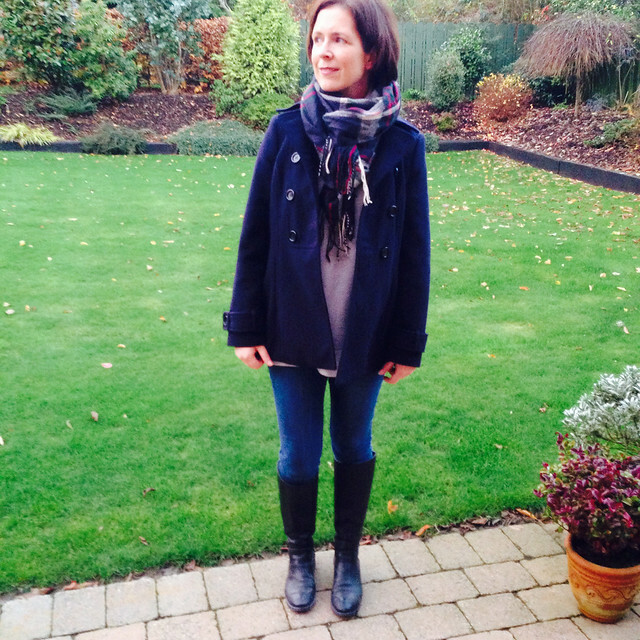 I took photos of my Zara try on so will try to blog about it in the next few days, house move permitting. Right - back to work here now as I've a ton of shop orders to make up. For anyone who's not heard, due to the move, I'm closing up the shop on Friday evening for a few weeks. So there's a re-location sale for the next 3 days with amazing reductions on all my winter stock. Grab a bargain while you can - some lines have sold out since this morning. Thanks for all the orders so far - I will endeavour to get them dispatched by Thursday. I'm impressed that you still look so smart with so much going on - I think I'd be wandering around with plaster in my hair and a fine covering of dust! I'm dying to have a look at the shop, but I so don't need any more scarves. What's the betting I'll have placed an order by the end of the day?! Wow what an exciting & busy time ahead Avril but so lovely to be in your new home for Christmas. 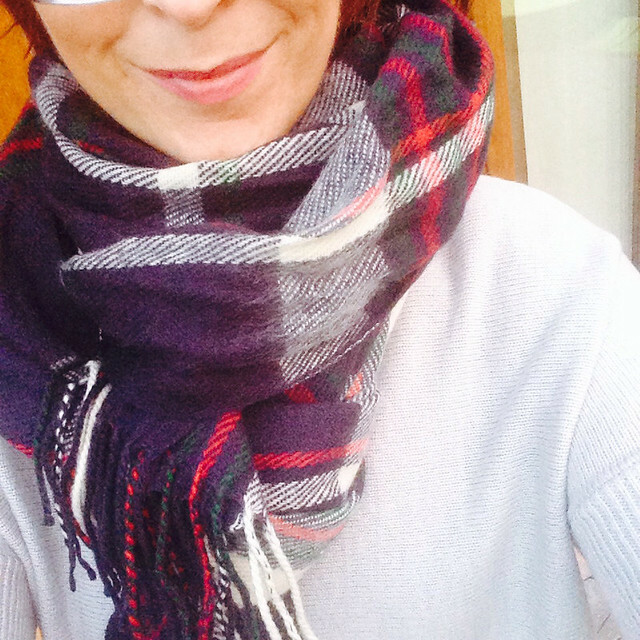 Lots of luck with the house move & I'm loving your new scarf from Next. 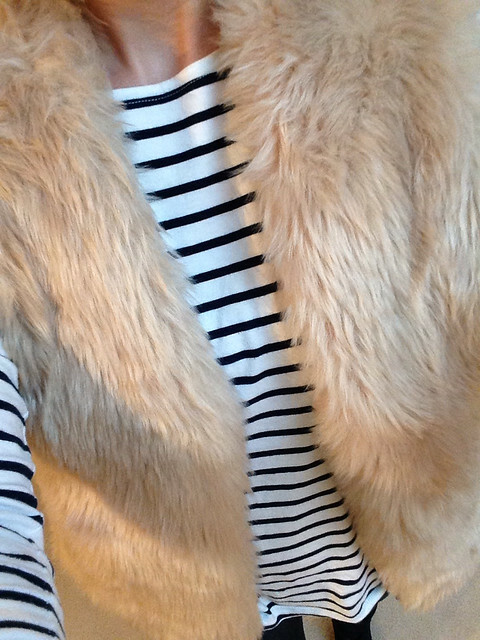 The light gilet with the breton top is lovely. I keep seeing these nice gilet's and I really should get one to shut myself up!